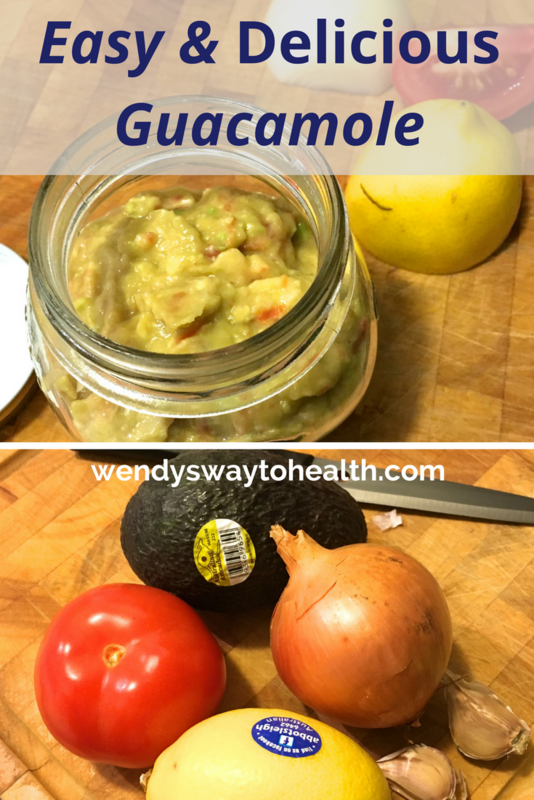 I make this quick and easy guacamole recipe all the time, because it really is so quick and easy to whip up. 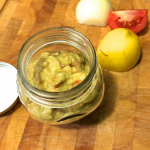 It’s a great way to make avocado a little bit more interesting and you can use it in a number of different ways. Serve it as a delish, healthy dip with crackers, crusty bread or chopped vegetable crudités, like carrots, celery or capsicum. Like my TZATZIKI DIP, it adds flavour and protein to a quick & tasty lunch bowl. Just add some chicken, salmon or tuna and some salad veggies. You can spoon guacamole over a baked potato, or on the side of your dinner plate to spice up steamed veggies. 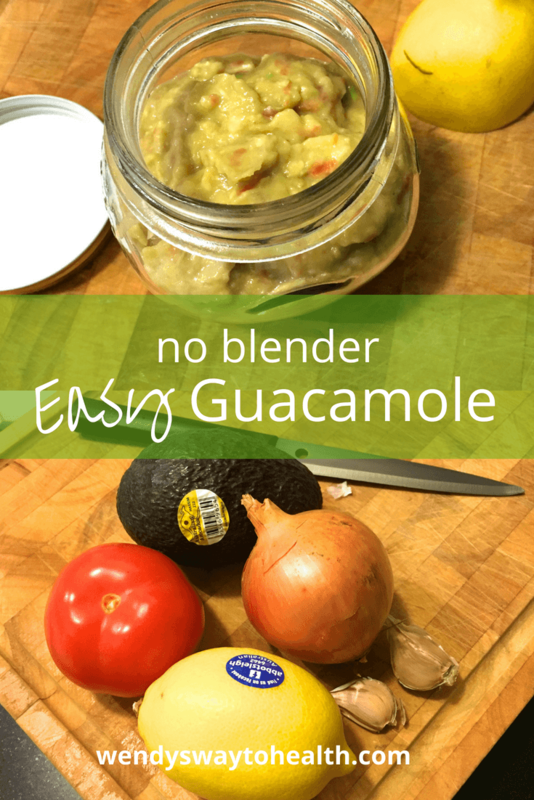 Probably the best thing about this quick and easy guacamole is that you don’t have to use a blender or food processor. Just finely chop the onion, garlic & tomato and then mash them into the avocado. I actually prefer making it this way, as I like the chunkier texture. Add some healthy fats to your next meal with this quick and easy guacamole. 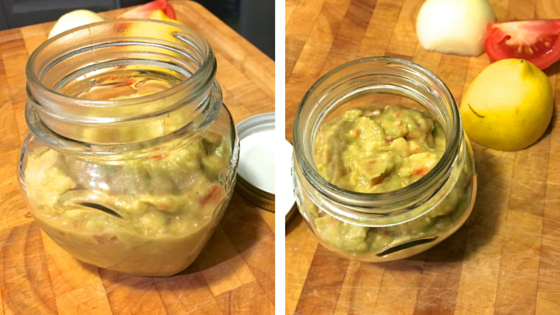 roughly chop the avocado, tomato, onion & garlic and place in blender cup. Blend for 30 seconds to a minute until you have the consistency you like. Roughly chop the avocado and put into a medium sized bowl. Finely chop onion, garlic & tomato. 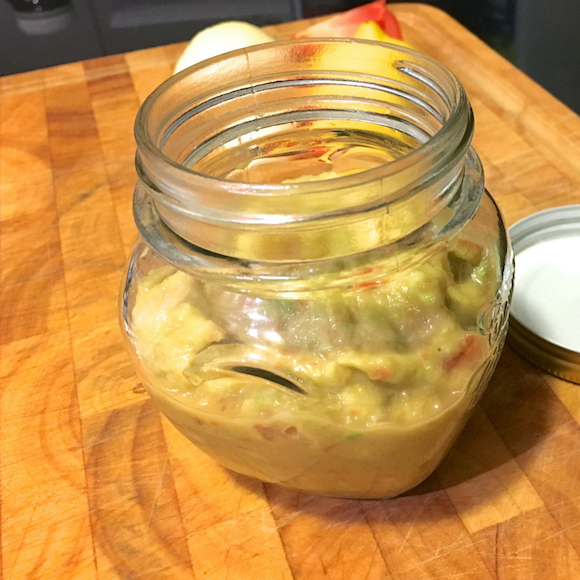 Add to the avocado and mash together until well mixed. Squeeze in the lemon juice and mix through. I prefer to use lime juice, but lemon juice works just as well. I also prefer to use a red onion, but again, a brown onion will do the job nicely.